Andreas Köhler experiments widely from a supple foundation in the cello, most recently in the composition of short symphony elemental--The Secret Life Of Molecules-- for Orchestra and Soprano. He collaborates ambitiously with the artist Hilary Koob-Sassen as The Errorists. In their 7+ years of increasing-close work and often hosted by ZKM in Karlsruhe, they have co-composed and co-produced the soundtracks for video works such as Faith In Infrastructure and 12 German Pop Songs which are shown internationally. Furthermore, The Errorists have performed numerous and varied live concerts at venues such as the Barbican Art Gallery, British Film Institute , South London Gallery, Steirischer Herbst Festival Dictionary of War, ZKM, Sketch Gallery. (http://theerrorists.com). 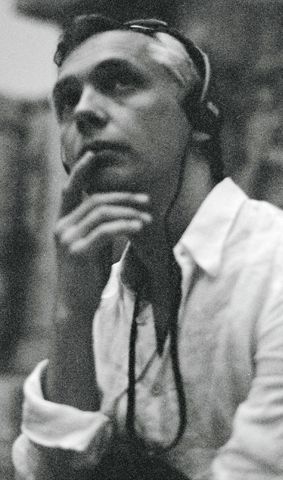 Andreas Köhler has composed music for documentary films shown on SWR, Arte, Sat1. Other musical experiments, which began alongside his formal training, have engaged the capacities of digital recording, composition, and arrangement. He has released electronic music with Harthouse (Metamorphosis), F-Communications (Soundofk), Glasgow Underground (Charles Silence Trio), Compost Records (Shahrokh Soundofk) and on his own label "livfe productions". In 2003 he founded Comtune, a commercial production company (www.comtune.de), which has done work for Siemens, Nero, Memmert and Gaggenau. More mathematically, for Nero AG, he produced a set of sounds for an algorithmic composer. He established and heads the MusikComputerWorkshops at the Zentrum für Kunst und Medientechnologie (ZKM) in Karlsruhe since 1999.